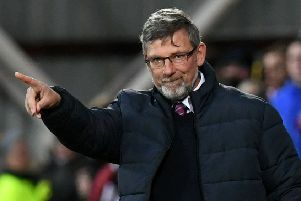 Inverness Caledonian Thistle’s chairman has bemoaned the early kick-off time for his side’s William Hill Scottish Cup semi-final against Hearts next month. Graham Rae claims that a decision was made on the match’s start time ahead of a meeting in Glasgow to discuss the fixture. The Caley Jags chief concedes that the time is almost certainly down to TV companies, but added: “I don’t know how much say we will have, particularly as the minnows among the four clubs in the semi-finals. Describing the decision to announce details before the meeting as “odd”, Rae told The Sun: “It just seems odd to me that we are being invited down for a meeting where everybody is represented — the fire [service], police, the clubs, the media — then they are announcing things ahead of time. Celtic play Aberdeen in the second semi-final on Sunday April 14, with a 2pm kick-off. Both matches will be televised by Premier Sports, with BBC Scotland also screening the Hearts-Inverness meeting.